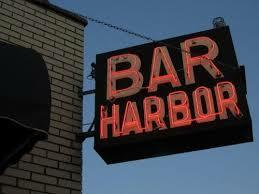 Bar Harbor is a Harbor Springs landmark located in the waterfront district on the corner of State and Bay Streets. Comfortable booth and bar seating, friendly service and warm atmosphere, Bar Harbor is a local favorite for lunch and dinner. Known for their burgers, sandwiches, soups, salads and warm appetizers in the heart of downtown with a view of the City Marina and harbor. Housed in one of Petoskey’s oldest buildings, constructed in 1875, City Park Grill was frequented by Ernest Hemingway and now stands as a local’s favorite. Featuring housemade cuisine, locally procured produce, meats and lake fish, plus famous hot biscuits, and an award-winning wine collection. Come and experience all that the Mitchell St. Pub has to offer. Relax with your favorite beverage, mingle with the locals, discover our award winning menu of freshly prepared food, throw some peanut shells on the floor and be amazed by our eclectic collection of antiques and artifacts, all while listening to the unrivaled, best, vintage jukebox north of the 45th parallel. Discover what the locals already know:the Mitchell St. Pub is Petoskey’s one and only Pub! Located on the edge of downtown Petoskey is a unique alternative for casual upscale dining. The Mediterranean-inspired menu evolves seasonally, featuring small plates, large plates, and wood-fired favorites complemented by carefully selected wines from Europe, plus Michigan craft and Belgian beers. Two floors of seating offer stunning Little Traverse Bay views, intimate lounges and outdoor spaces. Enjoy relaxed ambiance, fine craft beer and casual dining in one of Michigan’s oldest brewery buildings. The Old Brewery crafted its first beer in 1898 and today Petoskey Brewing Company carries on its legacy, brewing small-batch beer with pure artesian spring water. Visit our website for up-to-date beer and dining menus. Northern Michigan’s premier apres ski restaurant! For a hearty meal with a dose of nostalgia, ski-in to Pierson’s Grille & Spirits! Previously located in the Village at Boyne Mountain, Pierson’s has opened it’s doors in Downtown Harbor Springs and brings to the community a casual, family friendly atmosphere with a vintage ski lodge ambiance. Retro signage, black and white photographs and other memorabilia adorn the walls, paying homage to northern Michigan downhill skiing and winter recreation. Our menu features a variety of gourmet pub fare and homestyle comfort foods including sandwiches, burgers and salads, hearty entrees, decadent desserts and kids meals. A downtown Petoskey icon serving breakfast, lunch and dinner. Known for housemade daily creations of everything including soups, breads, sandwiches, award-winning salads, dressings, scones and bakery items. Sweets and treats housemade and baked daily. Barista specialties and coffee roasting on-site. Roasting, brewing, cooking and serving Petoskey since 1993. Established 1886. Open year round in the historic district of Bay View, overlooking Little Traverse Bay. Timeless Victorian style accommodations. 31 gracious units. Fireplaces and whirlpools in every suite. From $99/night. Exquisite country-style dining. Home of “Michigan’s Best Brunch.” Fifteen minutes from Nub’s Nob. Established 1899. Open year round in Petoskey’s gaslight district, overlooking Little Traverse Bay. Turn-of-the-century lodging with modern amenities. From $109/night. H. O. Rose Dining Room: northern classics served in elegance. Noggin Room: friendly pub and grill with entertainment. Fifteen minutes from Nub’s Nob. Dockside at the marina in downtown Harbor Springs. Enjoy northern Michigan favorites and dining from sophisticated to casual. Family-friendly, fun and a favorite apres ski gathering spot. Ten minutes from Nub’s Nob. Enjoy a relaxing evening overlooking the slopes of Boyne Highlands at Teddy Griffin’s Roadhouse. Some of our house specialties include fresh Great Lakes fish, Black Angus beef and delicious baby back ribs. Teddy also features an interesting Pub Menu which is famous for his “Irish Pizza”. Catch your favorite sporting event on one of 15 TVs. Open seven days a week. Located between Nub’s Nob and Boyne Highlands. Awarded #1 Steakhouse in Michigan by MLive, Vernales has it all! Be sure to join us and take your pick of the atmosphere that best suits you and your occasion: The Sports Bar for some good times with friends & family or to catch a game, The Wine Cellar for a more intimate adult only atmosphere, The Chop House perfect for any occasion, and that is ideal for larger groups and families, or The Patio where you can enjoy the best of the outdoors in Northern Michigan. You can’t go wrong; all areas are casual and very inviting!